Amos Hornby - THE MASSACRE AT LE PARADIS - HELL IN PARADISE - MAY, 1940. 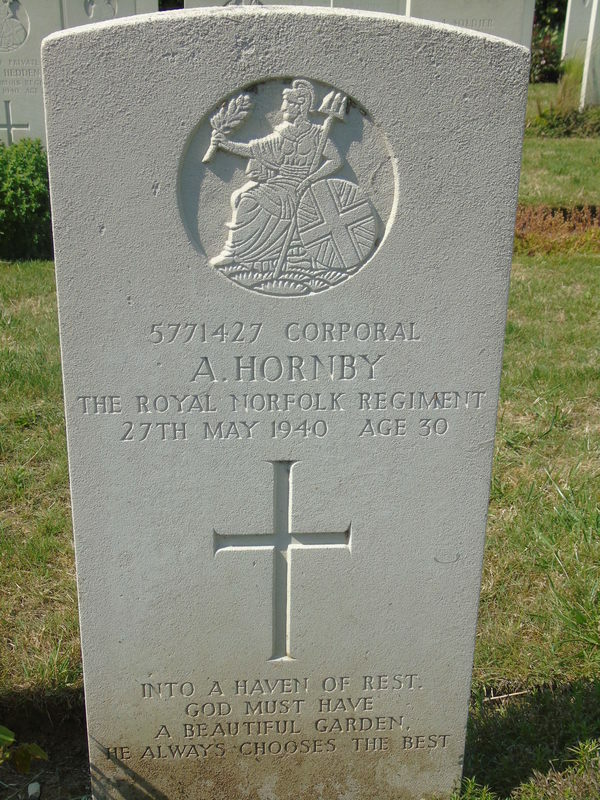 Corporal Amos Hornby: Died 27th May, 1940, aged 30. ​Son of William and Jane Hornby, of Higher Broughton, Salford, Lancashire. 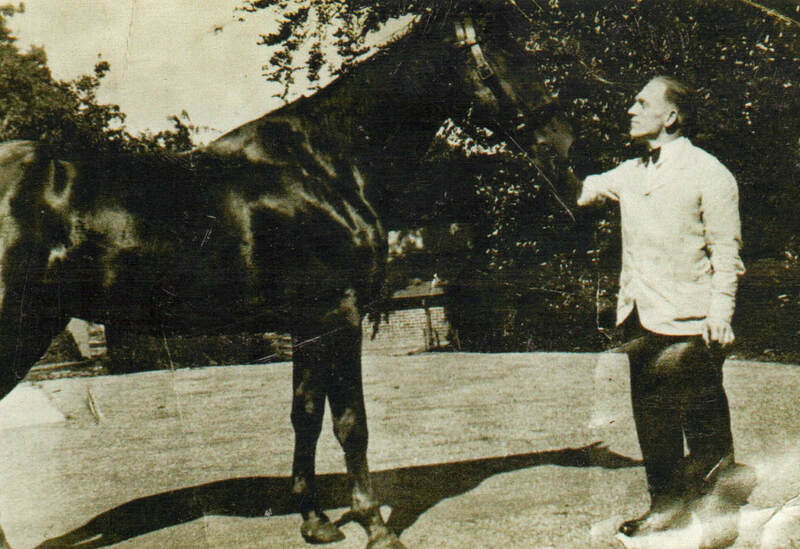 Amos pictured with a horse at Manchester Racecourse close to where he lived. It is possible that Amos was employed at the racecourse in some capacity. Amos was born on 31st October, 1909, at 38, Henry Street, Pendleton, Salford, Lancashire to William and Jane Hornby (Nee Edwards). He was one of six brothers, the others being Christopher, William, Benjamin, Samuel and Joseph. Their marriage did not last and Amos left, eventually joining the Army in 1933. Enlisted at London into the Royal Norfolk Regiment - 3rd May, 1933. Posted to Depot - 10th May, 1933. Posted to 2nd Battalion - 14th November, 1933. Appointed Paid Lance Corporal - 5th June, 1939. Granted Acting Rank of Corporal - 1st September, 1939. Granted War Substantive Corporal - 1st December, 1939. Killed in Action - 27th May, 1940. Gibraltar - 3rd March, 1937 to 1st February, 1939. British Expeditionary Force - 20th September, 1939 - 27th May, 1940. 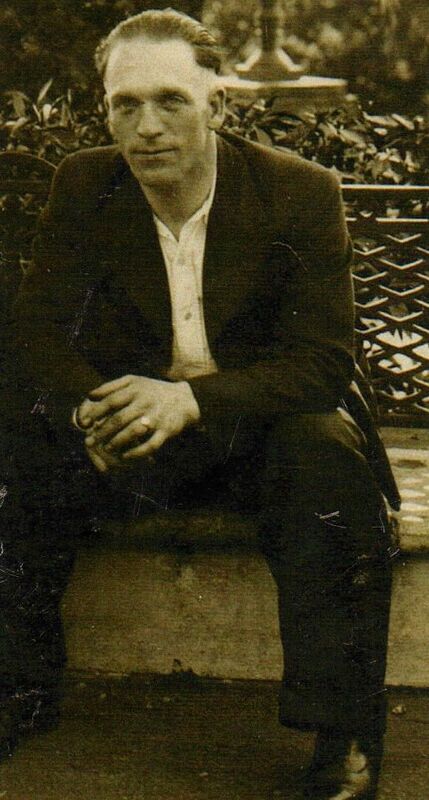 Photographs and details of Amos courtesy of his relative Alan Hornby and reproduced with his kind permission. Above is a copy of a Christmas card Amos sent back to his Mum. 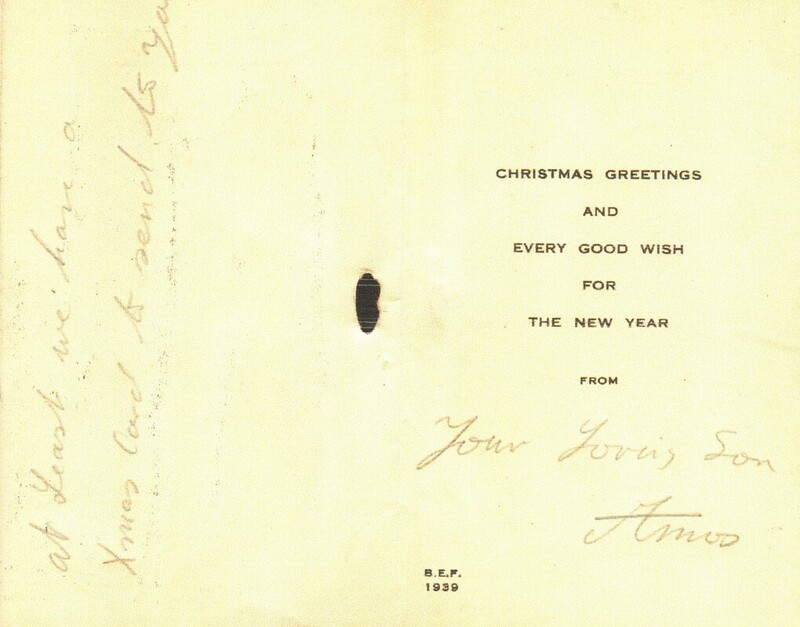 The wording on the left is: "At least we have a Xmas card to send to you" and it is signed "Your Loving Son Amos." 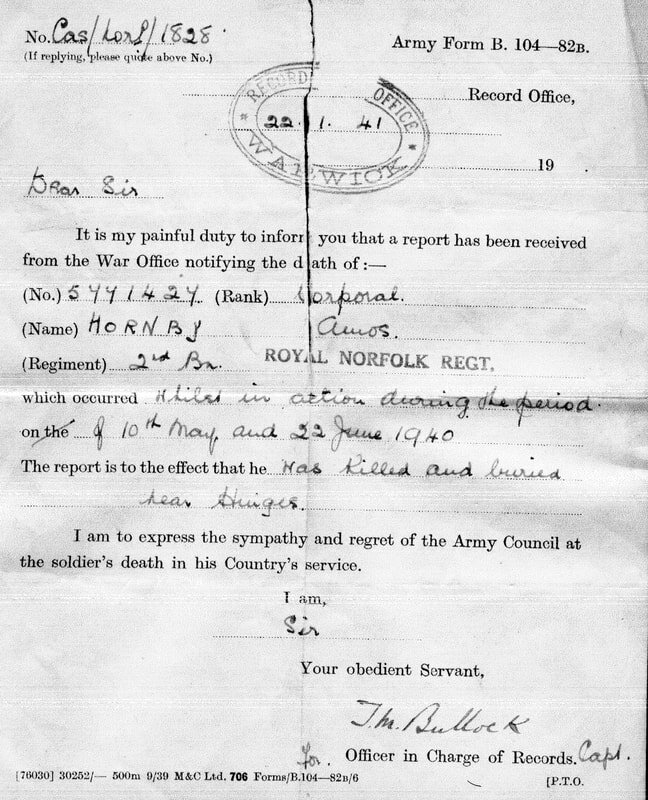 Opposite is the correspondence sent informing her that her son had been killed in action between the 10th of May and 22nd of June, near Hinges (which is 4 km away from Le Paradis). We know from exhumation records that Amos was definitely one of those killed in the massacre. He is buried in Le Paradis cemetery.